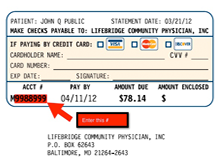 To pay your hospital bill, please click the below link to create and access your account. If attempting to pay a balance that has been placed with a collection agency, please contact the collection agency directly. 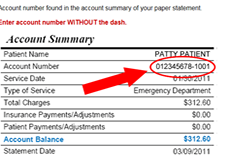 To pay your professional bill, click on the image which looks like the statement you received.